Judaism embraces the intricate religious and cultural development of the Jewish people through more than thirty centuries of history, stretching from Biblical times to medieval Spain to the modern Emancipation, and then to the Holocaust and the founding of the modern state of Israel. The result is an experience that reflects the elliptical relationship between religious practice and peoplehood. From a religious perspective Judaism may be a theistic system, but from a peoplehood perspective, it is also the group memory of the manifold communities and cultures formed by Jews through the ages. It consists not only of Torah (divine revelation) and mitzvot (divine commandments), but also the diverse cultures of the Hebrew, Yiddish, and Ladino languages. It includes not only the visible markers of religious observance, such as the kippah or the payot or the tzitzit, but also the communal structures of the kehillah, the mellah, and the shtetl, and what some would call “politics”—whether in Poland, America, or Israel. And it includes the whole range of Jewish education and family life, food and festival, music and dance, and custom and humor. Each part of the Jewish tradition is integrally related to the whole. Jewish religion and Jewish culture are more than complementary, they are symbiotic; one is inconceivable without the other. When the American rabbi Mordecai Kaplan proclaimed the Jewish religion to be a “civilization,” he was simply articulating the common experience of Jews throughout history, around the world. Judaism is perhaps best conceptualized as a triad with three points of reference: God, Torah, and the people Israel (that is, the Jewish people). None is central; all are interdependent, with varying degrees of emphasis at various times. God is the God of Israel, the God of all creation, the one God who is One. Torah embodies Judaism’s intellectual culture, focusing on the study, understanding, and interpretation of sacred texts. Israel focuses on Judaism as a historical culture and the civilization of a particular people; the “peoplehood” of the Jews includes customs and foods, arts and music, dance and folkways that are part of a way of life. 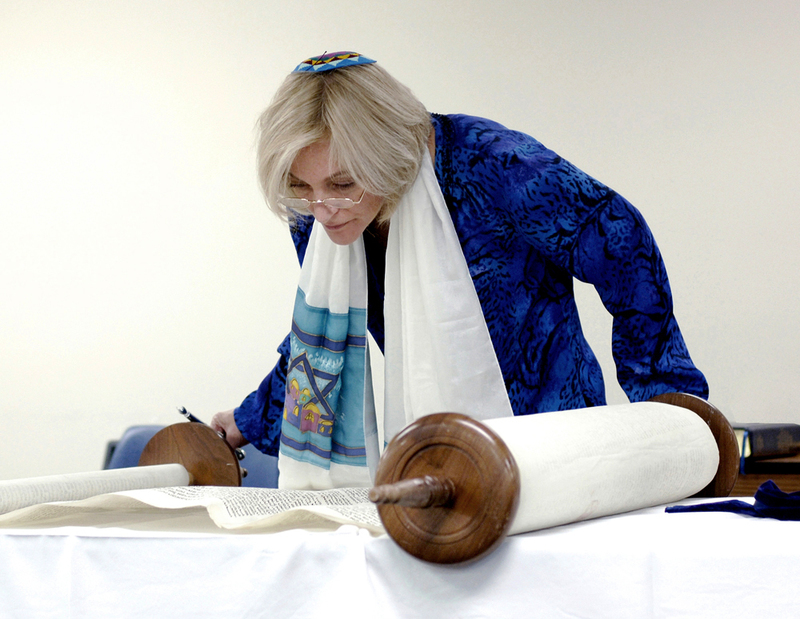 Judaism is critically concerned with the evolving relationship between God, Torah, and the Jewish people, a relationship described as a covenant. In the covenantal triad, God emphasizes the vertical relationship of the Jewish people to the Divine; Israel emphasizes the horizontal relationship Jews bear to one another, and Torah is both vertical and horizontal, for it defines the way of life of a whole people lived in relationship to God. These three connotations of Judaism as a monotheistic system, as a literary tradition, and as a historical culture are sometimes viewed separately. For example, there are Jews who tend to see themselves as culturally Jewish, but who are also non-religious or atheist, often identifying more strongly with Jewish “peoplehood” than with traditional understandings of God and Torah. Even so, all Jews would recognize that these three points of reference have shaped and guided Jewish experience through the ages. They are interrelated, each intimately connected with the others. From the religious perspective, God is the source of all things. God composed the Torah as the blueprint for creation, and God entered into a covenant with the Jewish people. From this perspective Torah is God’s Revelation; Israel God’s “Chosen People.” From the perspective of Jewish intellectual and literary culture, however, Torah is the central symbol. The task of Israel is the study and interpretation of Torah. God is the wellspring of Torah, the creative source, the “divine inspiration.” It is through Torah that God is known. And from the more secular perspective of Jewish peoplehood, one may not experience God as a living reality, but still understand the “God-idea,” the concept of monotheism, as a great Jewish contribution to the world’s religious heritage. One may not understand Torah to be divinely revealed, but recognize it as the great Jewish literary achievement, which—together with Talmud—forms the basis of Jewish life. It is Israel’s great historical and legal text, its constitution. The great symbols of God, Torah, and Israel have assumed varying positions of prominence throughout Jewish history, and our discussion of them thus necessarily unfolds within an ongoing historical framework. Such a historical approach is critical for an understanding of contemporary Judaism, for Judaism is a historical tradition—in which history is valued in and of itself. In many ways, Judaism has always been the sum total of all the history of its God, texts, and people.